HINT TO CONGRESS: VETERANS WANT THE VA TO WORK AND YOU GUYS TO ACTUALLY DO YOUR JOB AND MAKE SURE IT DOES! STOP SELLING THEM OUT AND PUTTING THEM INTO THE MESS THE REST OF US HAVE TO DEAL WITH!!!! Veterans from around the state expressed frustration over the Veterans Choice program, meant to increase access to health care, during a listening session in Helena on Monday night. 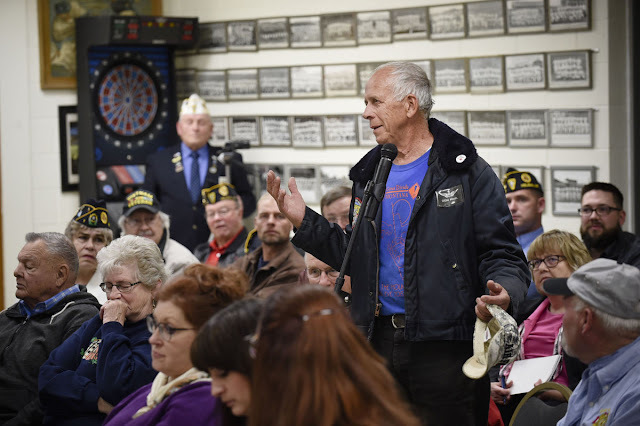 Nearly 50 veterans came to American Legion Post No. 2 to talk about their experiences with Veterans Affairs Department health care. The town hall is one of about a dozen the Legion will hold around the country this year to gather feedback to share with state congressional delegations and VA officials.